In yesterday’s ‘A Galaxy Event’, Samsung unveiled its new smartphones in the Galaxy A-series in three cities around the world – Bangkok, Sao Paolo and Milan. 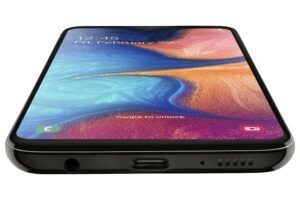 A day after the event, the company has unveiled a new device, Samsung Galaxy A20e in Poland which is a watered- down version of the Galaxy A20. The newly launched Samsung Galaxy A20e sports an Infinity-V display and comes with a dual-rear camera setup. 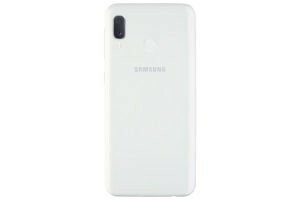 The design and aesthetics of the Samsung Galaxy A20e is quite similar to the Samsung Galaxy A20. The Samsung Galaxy A20e has a poly-carbonate built and comes with a rear-mounted fingerprint scanner. Even though the device has been launched, Samsung hasn’t said anything about the availability and the price of the device. Samsung Galaxy A20e comes in two colour options – Black and White. 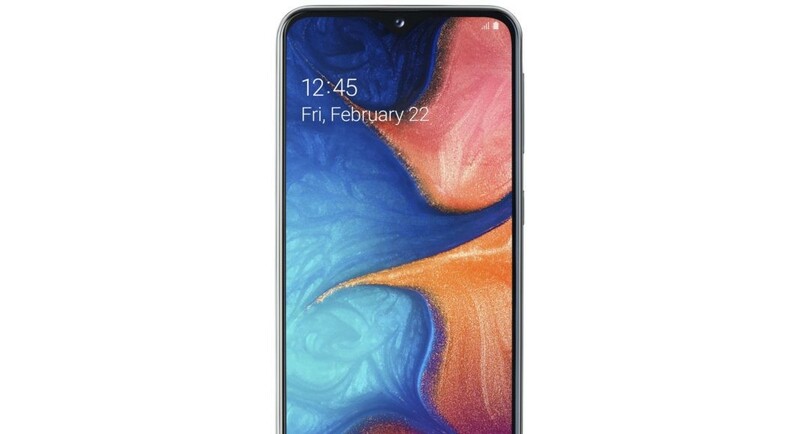 Samsung Galaxy A20e sports a 5.8-inch HD+ (720 x 1560 pixels) TFT Infinity-V Display panel which is smaller than the original Galaxy A20 that comes with a 6.4-inch Super AMOLED display. The smartphone is powered by an octa-core Exynos 7884 SoC paired with 3GB of RAM and 32GB of inbuilt storage. Samsung Galaxy A20e also supports a microSD card for expandable storage. The device also has a rear-mounted fingerprint scanner similar to the Samsung Galaxy A20 and it packs a 3,000mAh battery with 15W fast charging technology support. On the camera front, the Samsung Galaxy A20e comes with a dual-rear camera setup comprising of a 16MP primary sensor with an f/1.9 aperture clubbed with a 5MP secondary sensor with an f/2.2 aperture. While on the front, there is an 8MP selfie camera with an f/2.0 aperture. Till now, there is no official comment about the availability or the pricing of the Samsung Galaxy A20e but it is expected to be cheaper than the Samsung Galaxy A20 which sells for Rs 12,490 in India. Talking about the Samsung Galaxy A20, it was launched in India last week and it sports a larger screen than the Samsung Galaxy A20e. It is also powered by the Exynos 7884 SoC coupled with 3GB RAM and 32GB storage. The Galaxy A20 runs Android 9 skinned with One UI and it packs a larger battery of 4,000mAh with fast charging support. Samsung Galaxy A20 also comes with dual-rear camera setup with a 13MP primary camera paired with a 5MP secondary camera. On the front, there is an 8MP camera. Unlike the plastic build of Galaxy A20e, the Samsung Galaxy A20 comes with a ‘Glasstic’ built which is a combination of plastic and glass.